These days I find myself in a daily predicament, not only do I have to work out which phone to take with me to work I also now have to choose which watch I wear as well and by watch I mean Smartwatch. I’ve been a smartwatch user for a good few months now. 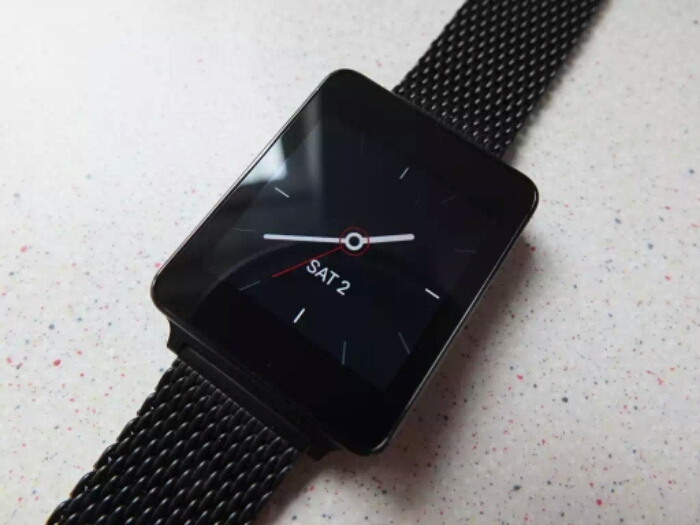 My first foray into the world of smartwatches was last year when a friend lent me the original Samsung Galaxy Gear and I wasn’t too impressed, everything it did, to me seemed like a compromise, apart from telling the time. There was just far too much swiping of the screen and weird bugs like Feedly uninstalling itself every time I ran Gear Manager. Needless to say I didn’t borrow it for long. Earlier on in the year I bought a Pebble Steel from a friend, which I consequently reviewed here and over the last six months I’ve grown to love it. I’ve seen the Pebble Firmware mature and stabilise and I’ve also seen the Pebble App Store grow into something useful. The device itself works how I want it to, either absurdly simplistic just telling me the time or constantly telling something exciting is happening on my phone. I’ve also been excited by features such as the media playback controls, like the time I controlled what my phone was playing back on my TV via a Google Chromecast. The one area I’ve felt the Pebble Steel let me down a bit was on the style front on scruffy days doing DIY round the house, riding my bike to and from work in my mountain bike commuter costume, down the gym or even just out for a run. The shiny silver strap and casing just didn’t fit in. 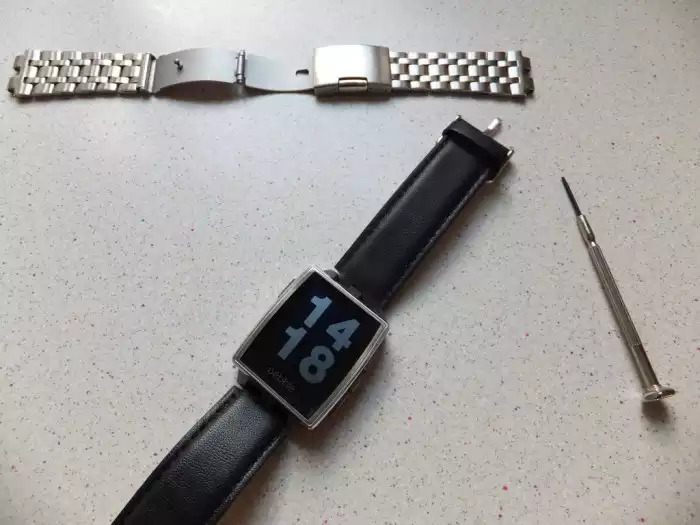 Because of that and the current lack of replacement straps I considered getting an original Pebble as the all plastic model would suit my more scruffy days down to a tee and those new neon colours are rather appealing. 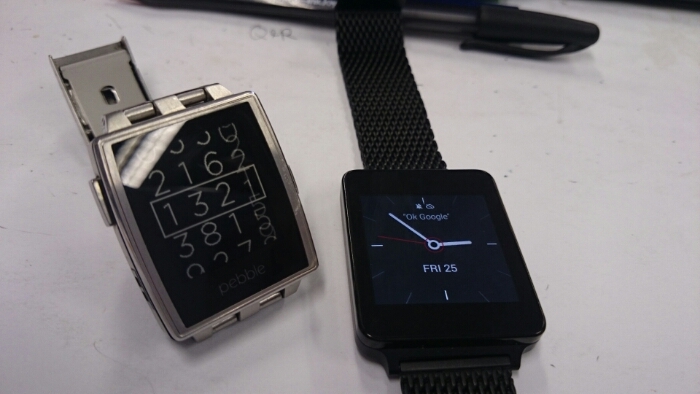 I did say I considered getting an original Pebble, I didn’t in the end. Being a new wearable tech convert when I saw the new Android Wear watches I just new I had to give them a go. I didn’t really know why, to be honest the whole “Google Now” on your wrist thing seemed a bit much for me. I’d never really be in a situation where talking to your wrist watch felt normal or where I cocldn’t get my phone out instead would be. Needless to say though I got an LG G Watch. The prospect of some weird new apps and the capability to change the straps won me over. I reviewed the LG G Watch here if you’re interested. Which is best? I hear you say, well I can’t honestly say. I prefer the Pebble for its looks, battery life and it’s button pushing simplicity, but the G Watch appeals because of the enhanced functionality and the sheer potential of Android Wear. So to help you the reader possibly decide which might suit you best I’ll round up some of the pros and cons of each OS and the relevant hardware and you’ll hopefully have a better idea. Several years experience in the market. Several years of bug fixing and improvements have taken place. E-Ink based screens visible in any light. Hardware buttons to control the device. The Pebble Steel is a great looking watch. Cross platform compatibility, Android & iOS. Non touch based UI might not be for everyone. It will only ever be available on a handful of watches, there are currently two. Bigger apps need a companion app making for the relevant mobile OS. Limited number of apps and watchfaces you can install. Android Wear feels new, fresh and exciting. Any manufacturer can use Android Wear on their watches. Voice recognition and the touch based interface can be really quite intuitive. Lots of developers are jumping onto the bandwagon. App ecosystem is only just starting, with some developers creating all sorts of weird and often pointless apps. Currently available hardware is a bit dull, maybe Motorola will change that. Battery life isn’t great at the moment with a day being about the average life. The current crop of watches are virtually unreadable outdoors. I guess it will only ever support Android. 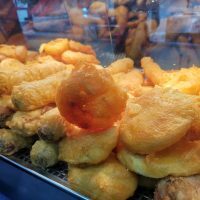 Which should you buy? Well that’s a hard one. It depends on you and how you use your phone really. If you are an iPhone user there is only one option, if you are a Windows Phone user I just wouldn’t bother as the third party Pebble apps are awful. If you want to to just glance at your notifications and not really action any of them the Pebble would be ideal for you. If you work outdoors or do a lot of running or hiking and would like to see your notifications again the Pebble would be best. If you want your watch to look good with your snappy work suit again I’d go for the Pebble Steel. 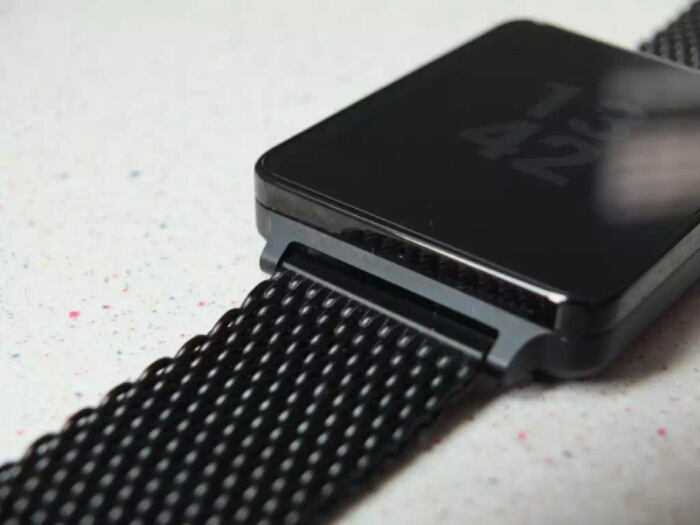 If you want your watch to be a watch and to not have dozens of notifications for every last thing that happens on your watch again it’s the Pebble and lastly you don’t need apps that defeat the whole purpose of a SmartWatch then I’d go for the Pebble. The other side of the story is with Android Wear. If you want something new, exciting and somewhat uncharted then I imagine you’ll be made up with an Android Wear watch. Also if you’re the sort of person who wants to try and recreate your phone on your wrist then you’ll also be happy as there are apps for alsorts now including web browsers, keyboard and even Wikipedia. The somewhat understated looks of the LG G Watch also lends itself to being worn with almost anything, I’ve got a metal strap and two rubber straps so I can customise as I see fit. I personally think that a smartwatch can be a great addition to your life, as to which it depends on you as person and how you use your phone. I am excited to see how this sector of the mobile industry progresses especially how the hardware changes on the second generation Android Wear devices, as I hope they have bigger batteries and better screens. I’m also intrigued to see what the next move Pebble is, to see how they change their designs in light of the Android Wear devices. The future of smartwatches is exciting and I’m to be a part of it.